Disclosure: I received the Nenuco Bath Time for review. All opinions are my own. The first thing out of Kenzie's mouth when she saw the Nenuco Bath Time box was "Uh huh, this is what I've been talking about for a looooong time". She couldn't wait for me to take her new baby out of the box and asked if it was bath time. Since it was only 5pm, she had to hold off until after dinner to get her baby squeaky clean. What's unique about the Nenuco bath time doll ($29.99) is that her feet/shoes are ventilated to allow for water to freely flow in and then drain out. She wears a cute swimming outfit and has a sweet rosy face. She has the same intoxicating baby smell as Kenzie's other Nenuco doll. She comes with her own tube and bath squirting toys. What's nice about the squishy toys is that they have drainage holes as well which means no gross mold to worry about. 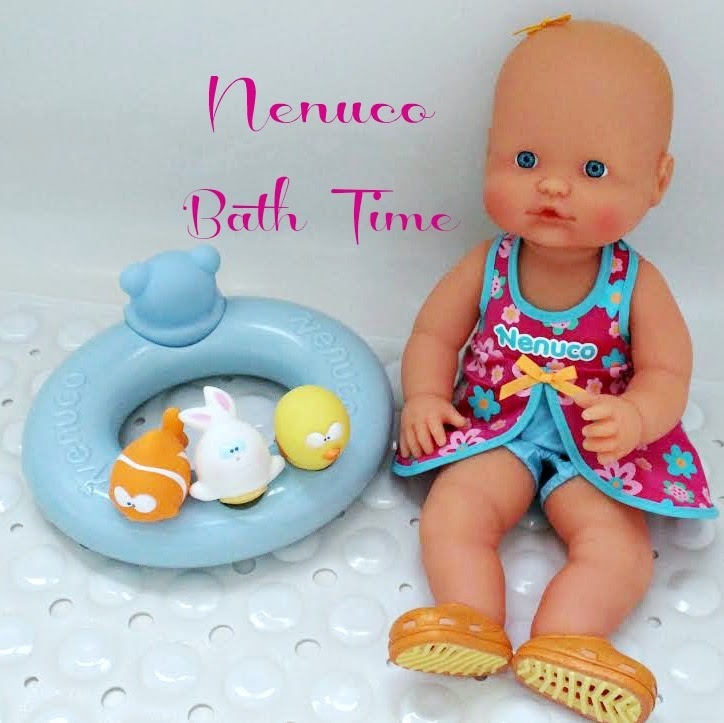 Nenuco Bath Time doll enjoys herself by floating around in her tube while the kids splash during their bath. She likes to share her bath toys with the kids who sometimes argue over who gets more! She is also getting back float lessons from Kenzie. When all the bath play is over, you just sit baby Nenuco upright and she dries off quickly for more fun and play! Her body is soft and perfect for cuddling - wet or dry. Kenzie just adores her new doll who makes bath time just that much more enjoyable. Make sure to connect with Nenuco on Facebook, Twitter and YouTube! I love how exicted my daughter gets when she gets a new doll, I love that the feet/shoes are ventilated to allow for water to drain, great to prevent mold. Wish others where like this. Her accessories are too cute! That is such a neat doll! Very well thought out with lots of great features. I think my grandsons would enjoy playing with her, too! What a cute little doll! My niece has to have a doll with her at bath time so that she can wash her hair. Would love to put this one up for Christmas! 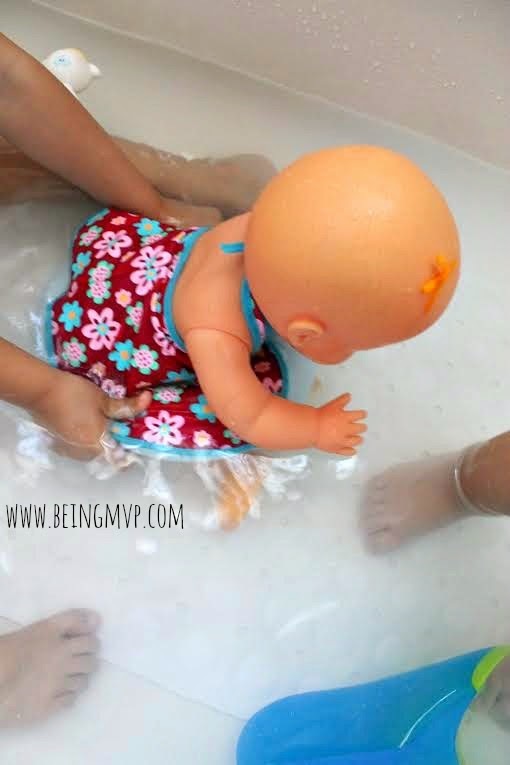 I love this doll, what a great idea to have a baby doll specifically for bathtime! I think my daughter would love it. This is such a cute doll. My youngest daughter would love this. That's adorable and a good idea for bath time! This is a cute doll. Thank you for your review.